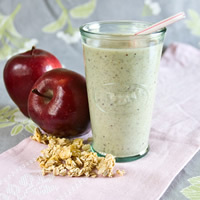 This thick, creamy apple pie smoothie is full of wonderful pie bliss we all long for. Combine all ingredients in a blender and pulse until smooth. Serve immediately.